Never Miss an Outlook Reminder Again! The Outlook Reminder and Out’n About! Check IN Alert windows are useless if you are not sitting in front of your computer. The Out’n About! 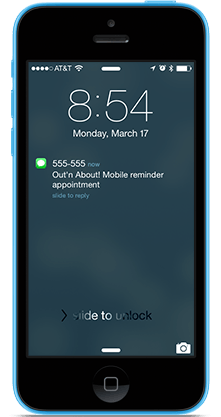 Mobile Reminder feature solves this problem allowing you to automatically forward Outlook Reminders (appointments and tasks) and Out’n About! 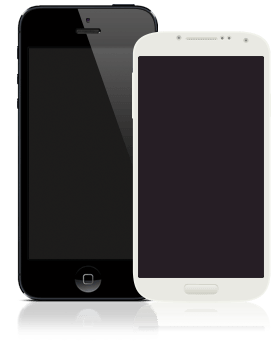 Check IN Alerts to your mobile phone, pager, or any e-mail address when you are away from your desk. Enter your carrier’s email to text address. It is typically 5555555555@carrier.com, or something similar. Out’n About! 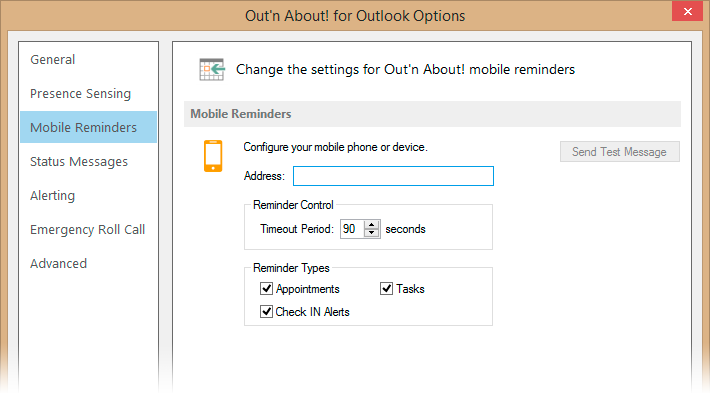 for Outlook will forward Outlook Calendar reminders and Out’n About Check IN Alerts. Check in alerts will let you know when one of your coworkers changed their status in Out’n About. You can choose who you track with this feature.